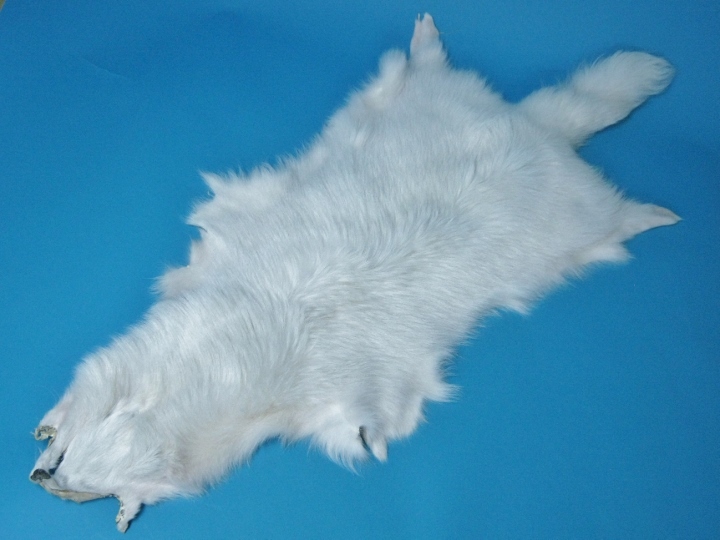 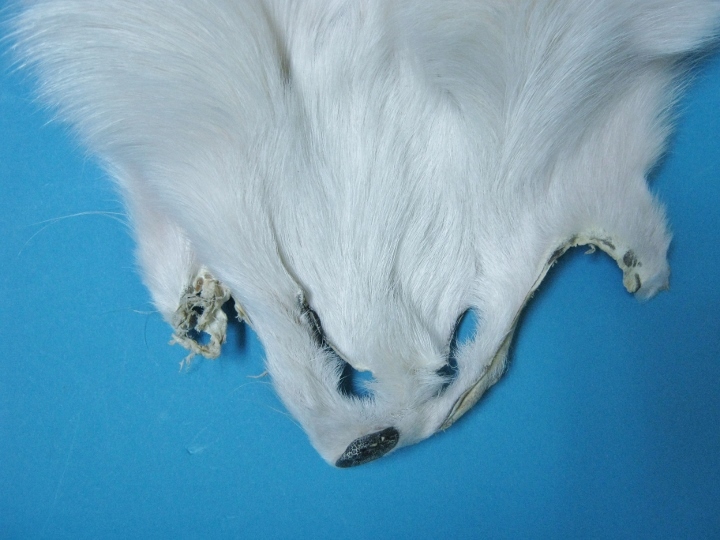 We offer a limited number of tanned white (Arctic) Finn raccoon Skins. 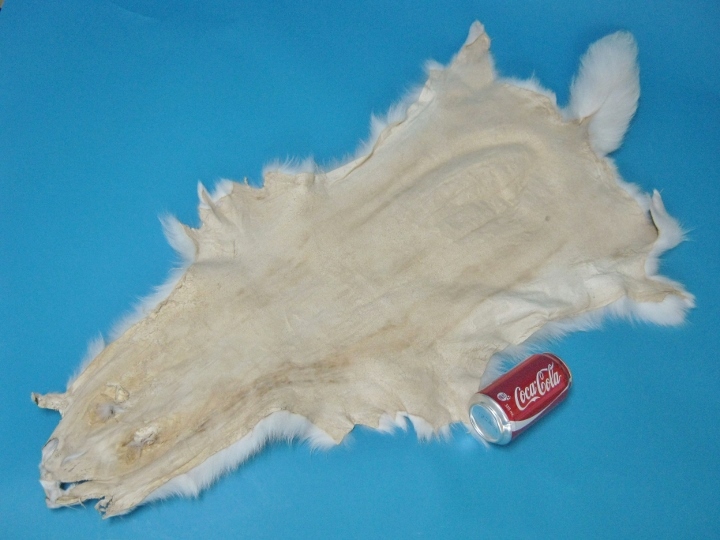 One skin is measured to be 96.5 cm long, 43 cm wide at the top, 34 cm across the middle, and 53 cm across the bottom. It weighs 0.48 kg.